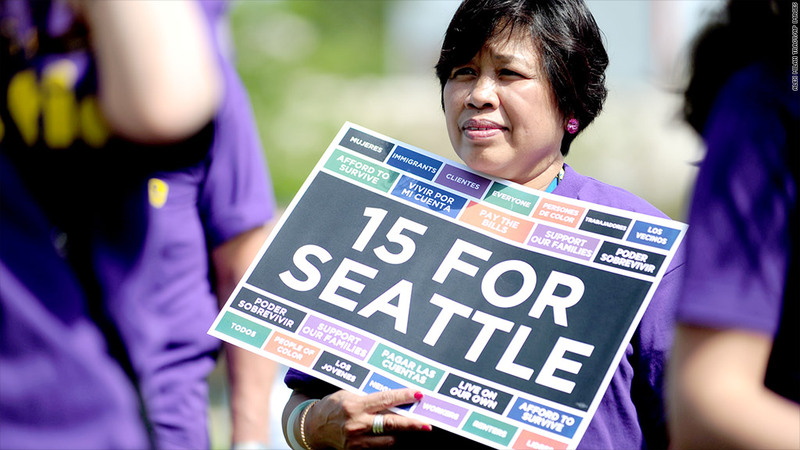 Seattle's mayor is pushing to raise the city's minimum wage to $15. Raising the minimum wage could lift hundreds of thousands of low-wage workers out of poverty, but it's also a job killer. Right? Not so fast. In Washington state, small businesses are adding jobs faster than any other state in the country, according to a report from Paychex and IHS. It's also the state where minimum wage, at $9.32 per hour, is the highest. The federal minimum wage is just $7.25 an hour, and a battle is raging about whether it should be raised to $10.10. Small businesses, often called the engine of the U.S. economy, find themselves at the heart of the debate. Critics of a wage hike say that raising the minimum wage too high and too fast could put them out of business. 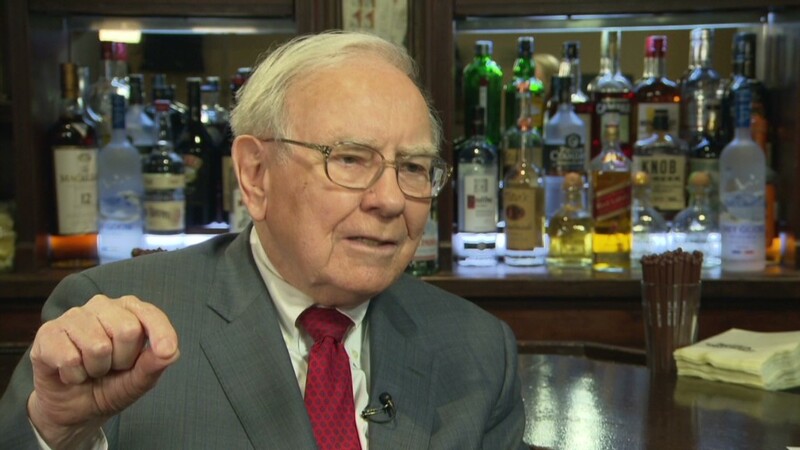 But it's not just critics who say a higher minimum wage destroys jobs. The nonpartisan Congressional Budget Office said that while gradually raising the federal minimum wage to $10.10 would lift 900,000 out of poverty, it could also mean the loss of 500,000 jobs. But the report from Paychex and IHS, which measured job additions and layoffs at 350,000 small businesses, could dispute that claim. Not only was Washington the strongest state, San Francisco -- with a minimum wage of $10.74, the country's highest -- had the greatest job gains in the past year among cities measured. "It defies the conventional wisdom of many business lobbies who predict economic catastrophe," said Joshua Welter, deputy director at Main Street Alliance, a group that advocates for raising the minimum wage. Washington state has been progressive on the issue for years. The state's minimum wage rate has been tied to inflation since 1998, and the mayor of Seattle is currently pushing to raise the city's minimum wage to $15. Most of Washington's job growth has come from the retail and service sectors, said Erin Shannon, the director of the Center for Small Business at the Washington Policy Center, which describes itself as an independent think tank that promotes free-market solutions. "Washington is an attractive place for business, because of its quality of life and entrepreneurial spirit," Shannon said. Historically, Washington has ranked high in the number of business starts per year. But it has also ranked high in the number of business failures. "We believe a higher minimum wage does in fact hurt businesses," said Shannon. Instead, Shannon credits the health of Washington's economy in general, which she said has recovered a bit faster than the rest of the country. It ranked sixth for overall economic performance over the past decade in a study from the American Legislative Council. San Francisco, too, has benefited from the entrepreneurial scene. "There's been a huge ripple effect from companies like Facebook and Google," said Claudia Viek, the CEO of the California Association for Micro Enterprise Opportunity. The city's tech scene has also fostered a supportive environment for the self-employed. This touches a variety of industries from design to consulting to chocolatiers and cupcake bakers, Viek said.